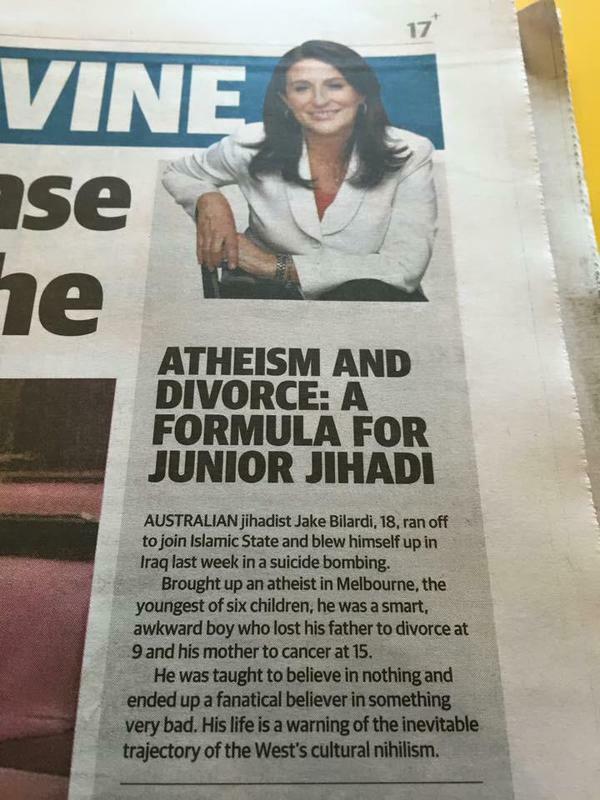 Miranda Devine seems to forget that atheism means the belief that there is no God which conflicts with the view of Islam that there is one and only one God. She claimed that she was warning that the spiritual emptiness of the Western World or as she rather patronisingly put it – “cultural nihilism” – was an easy target for Islamists. She’s wrong, such a statement lacks merit and lacks solid evidence other than a few fringe cases involving people who are sensitive for other reasons – such as a lack of authority figures in this particular case. In other words, the lack of a belief in God was not the only factor, and likely was not a large factor.